Today, we are proud to announce the freshly redesigned JW Player Pro Skins. JW Player has always offered customers the ability to create unique player skins, while also including more packaged skins than any other video player. These skins are used by many websites as an out-of-the-box solution for customers looking to showcase video. In the past, packaged skins were only offered as a Premium feature, but as of earlier this year, were made available to JW Pro customers. We just pushed our 8th version of the State of HTML5 Video Report, hitting 2 years of coverage for this exciting tech. In this post, I’ll provide some highlights of the progress made, plus work that’s still to come. In this age of information, analytics are king. Content providers like to know how their products are being used and when people are using specific features. It comes as no surprise that many providers want to know how their videos are being watched so they can improve the viewing experience. Surely, knowing your audience and their viewing habits are a sure fire way to keep everybody happy. As more overall video consumption moves online, Video advertising has experienced significant growth over the past several years. The Interactive Advertising Bureau’s (IAB) annual Internet Advertising Revenue Report (U.S.) has shown an annual growth rate (CAGR) of more than 30% per year since 2007. PricewaterhouseCoopers’ “Global Media Outlook” supports this position, projecting growth in the video’s share in overall advertising revenue to over $12 billion in 2017. Whether you’re watching an episode of your favorite TV show, or wanting to see your best friend’s kid, cat, or dog roll around on the floor, videos are a significant part of browsing the web. With the growing availability of portable devices that conveniently fit into palms, pockets, and bags, you are are more likely than ever to view video on a smartphone or tablet. With millions of apps available on the marketplace, how are you going to watch the video - in an application or in the device’s mobile web browser? According to the Nielsen 2013 Consumer Mobile Report, videos are being watched in mobile browsers just as frequently as in applications in developed markets. This poses a usability predicament because the default players found in mobile web browsers lack nearly all of the features that connect viewers to both other content and other viewers. They also strip potential revenue streams for the content providers. Today, we have exciting news to share with our community. After months of hard work, we are officially changing our company name from LongTail Video to JW Player. We are absolutely thrilled to make this change, as we think it better captures who we are and what we are trying to accomplish in the future. As part of our rebrand, we have moved our website from longtailvideo.com to jwplayer.com. In addition to our new graphics and colors, you will notice that we streamlined our site navigation significantly so that users can more easily learn about our products and get video up on their sites. We also renamed our popular online video platform, Bits on the Run, “JW Platform”. When you have a moment, please go explore our new site. It was a massive move for us and we would really appreciate your feedback! In this blog post, we will setup Amazon Cloudfront to swiftly and reliably deliver an HLS stream around the globe. We'll use JW Player to embed these streams, so they work on both iOS and desktop browsers. This post is a follow-up to the one on Encoding HLS with Amazon Elastic transcoder. That post discussed setting up storage buckets and creating Pipelines, Presets and Jobs to encode HLS. 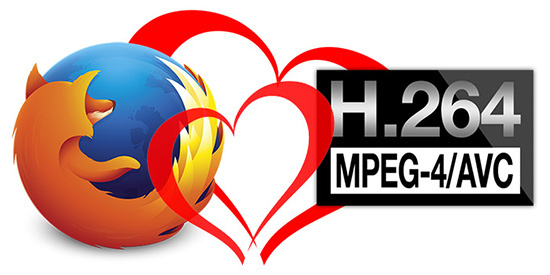 The State of HTML5: Firefox Now Supports MP4! 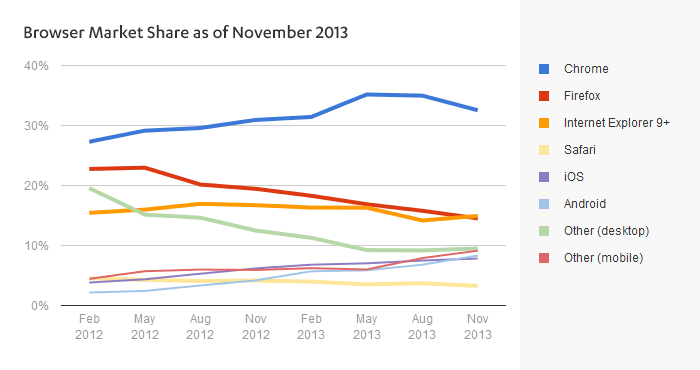 With Q2 of 2013 behind us, it is time for another update of our State of HTML5 Video report. The last few months have mostly been about filling in the gaps, with Android improving its API support, Opera adding Fullscreen support and Internet Explorer 10 slowly replacing IE8 and IE9. The biggest story though is Firefox’s phased rollout of MP4 playback support.